To prepare syrup, in a large saucepan combine trimmed and halved strawberries, sugar, and water. Bring just to boiling, stirring to dissolve sugar. Remove from heat. Cover; cool to room temperature. Press mixture, a little at a time, through a mesh sieve; discard solids (you should have about 3 cups syrup). 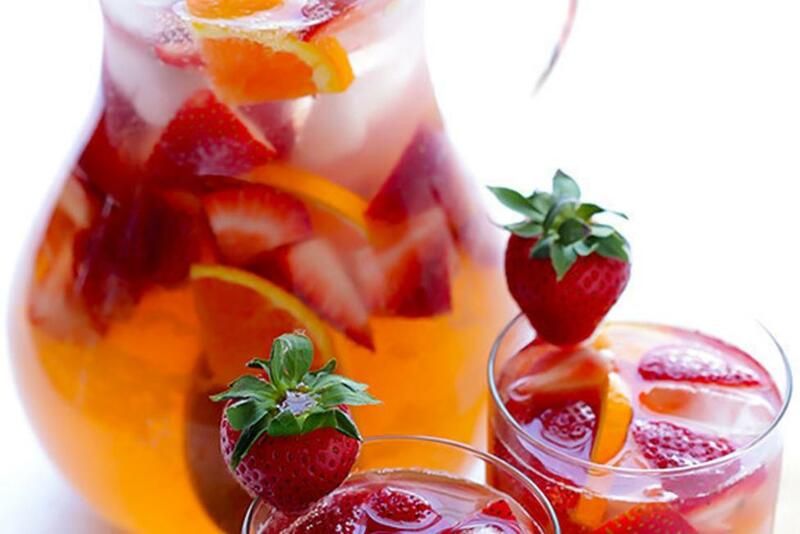 In a 2-quart pitcher, stir together the syrup, wine, and sliced strawberries. Cover and chill up to 24 hours. Before serving, stir in the sparkling water. Serve in glasses with orange slices.